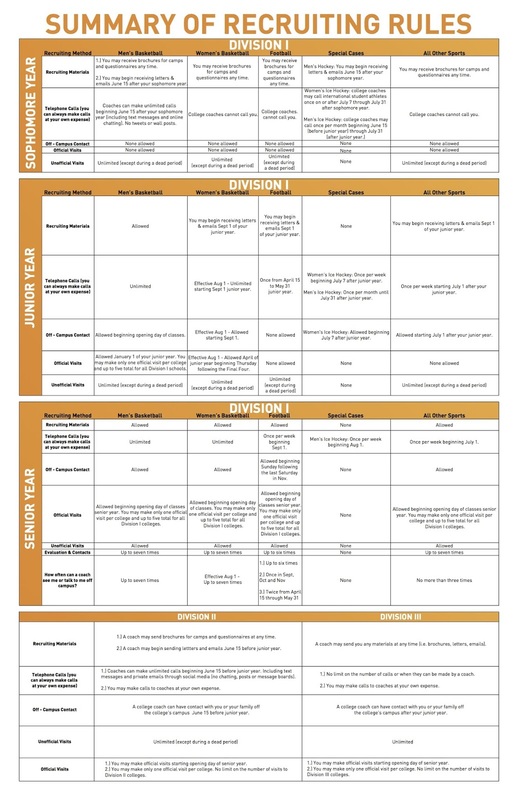 With all the newer NCAA recruiting rule changes, I am publishing a great summary provided by NCSA Athletic Recruiting. In the below image, you can find the NCAA Division Eligibility Sliding Scale, ACT/SAT Test dates and the Signing Dates. Once again, many thanks to NCSA Athletic Recruiting! however, my eyes are not what they used to be! do you have a pdf that we can download?? 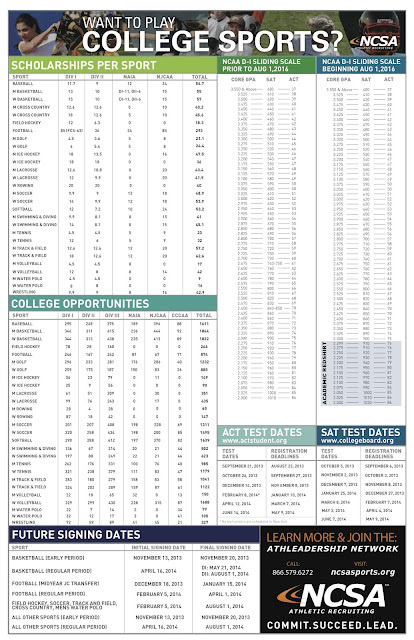 I don't think my web platform lets me attach a pdf - I will see if NCSA Athletic Recruiting has a link on their site with this info in larger viewing - I made it as big as I could before posting! I concur with the above reader. I would love to read this information, but cannot - it is way too small. This works for me on Firefox - click the image to get to the full size version (it will show up on a page by itself). Then right click and "view image". In Firefox you should have a magnifying glass as your cursor and you can click it to zoom in. In Internet Explorer, once you click the image to get the full size version, use zoom in the browser controls.